Isaac Vainio has spent the past two years working at the Copper River Library in northern Michigan, secretly cataloguing books for their magical potential, but forbidden from using that magic himself . . . except for emergencies. 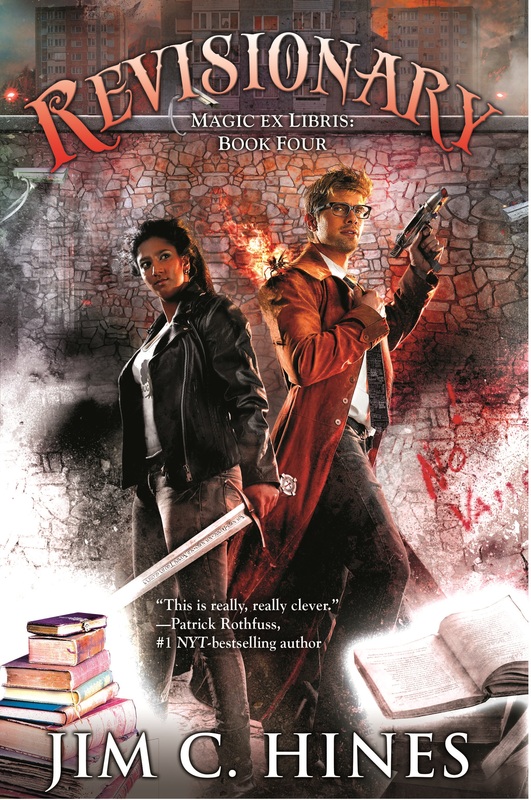 Emergencies like a trio of young vampires who believe Isaac has been killing their kind, and intend to return the favor. Isaac is a libriomancer, brilliant but undisciplined, with the ability to reach into books and create objects from their pages. And attacking a libriomancer in his own library is never a good idea. But vampires are only the beginning. This was merely the latest in a series of attacks against members of Die Zwelf Portenære, a secret organization founded five centuries ago by Johannes Gutenberg to protect the world from supernatural threats. Among the casualties is Ray Walker, Isaac’s friend and mentor in magic. 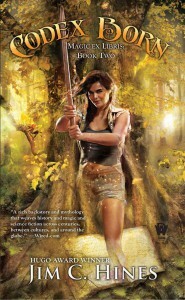 Complicating matters further is the arrival of a dryad named Lena Greenwood. Lena packs a pair of wooden swords and proves to be quite adept at helping to beat down various magical threats. She also seems to be a little too interested in Isaac . . . not that he minds. Yet Lena’s nature could make her a greater threat than any vampire. 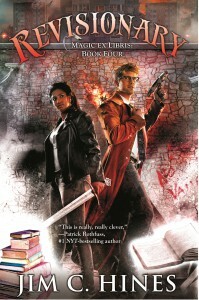 Along with a neurotic fire-spider named Smudge, Isaac and Lena set out to find and stop whoever is behind the attacks. But things are worse than Isaac imagined. An unknown killer of unimaginable power has been torturing and murdering humans and vampires alike. And Gutenberg, now more than six hundred years old, has disappeared. 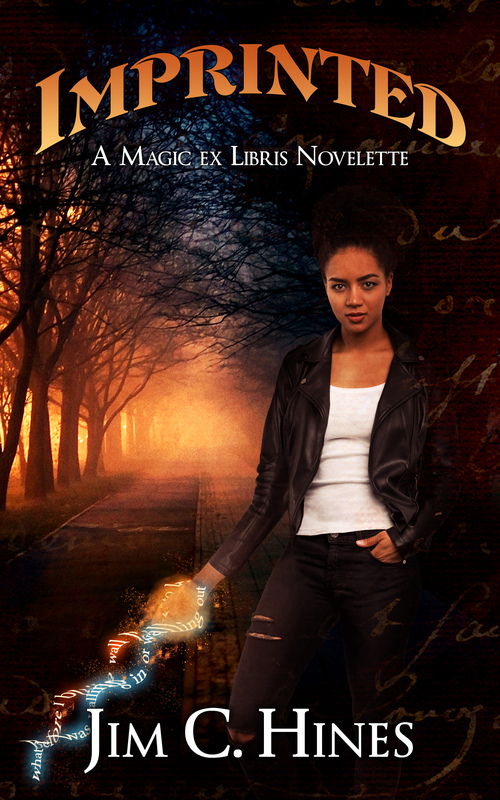 As Isaac searches for Gutenberg and the murderer, hoping they aren’t one and the same, he uncovers dark secrets about magic’s history and potential. Secrets which could destroy Die Zwelf Portenære and loose a magical war upon the world. If Isaac is to have any hope of preventing that war, he will have to truly master the magic of libriomancy. Assuming he doesn’t lose control and wipe himself from existence first. Isaac Vainio’s life was just about perfect. He should have known it couldn’t last. Living and working as a part-time librarian in Michigan’s Upper Peninsula, Isaac had finally earned the magical research position he dreamed of with the Porters. He had been cleared by Johannes Gutenberg to practice libriomancy once again, reaching into books to create whatever he chooses from their pages. Best of all, it had been more than two months since anything tried to kill him. And then Isaac, along with a dryad named Lena Greenwood and Porter psychiatrist Nidhi Shah, are called to the small mining town of Tamarack, where a pair of septuagenarian werewolves have discovered the body of a brutally murdered wendigo. What begins as a simple monster-slaying leads to deeper mysteries and the discovery of an organization thought to have been wiped out more than five centuries ago by Gutenberg himself. Their magic rips through Isaac’s with ease, and their next target is Lena. The dryad’s powers are unique, and Gutenberg’s enemies mean to use her to destroy everything he and the Porters have built. But their plan could unleash a darker power, an army of entropy and chaos, bent on devouring all it touches. The Upper Peninsula is about to become ground zero in a magical war like nothing the world has seen in more than five hundred years. But the more Isaac learns about Gutenberg and the Porters, the more he questions whether he’s fighting for the right cause. One way or another, Isaac must find a way to stop a power he doesn’t fully understand. And even if he succeeds, the outcome will forever change him, the Porters, and the world. Michigan librarian Isaac Vainio is powerless to stop her, having been stripped of his power and his place among the Porters by Johannes Gutenberg himself. But Isaac is determined to regain his magic and to rescue his former student Jeneta. With no magic of his own, Isaac must delve into the darker side of black-market magic, where he will confront beings better left undisturbed, including the sorcerer Juan Ponce de Leon. When Isaac Vainio helped to reveal magic to the world, he dreamed of a utopian future, a new millennium of magical prosperity. One year later, things aren’t going quite as he’d hoped. 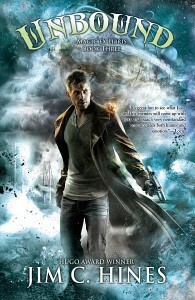 An organization known as Vanguard, made up of magical creatures and ex-Porters, wants open war with the mundane world. Isaac’s own government is incarcerating “potential supernatural enemies” in prisons and internment camps. And Isaac finds himself targeted by all sides. 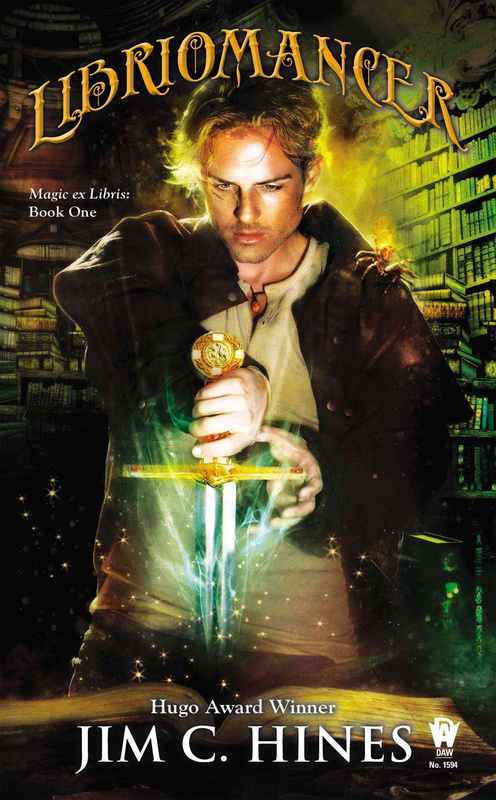 In the Magic ex Libris series, Nicola Pallas is one of the most powerful magic-users in the world, able to overpower her enemies with little more than a whistle. She’s also known for raising chupacabras in her barn. 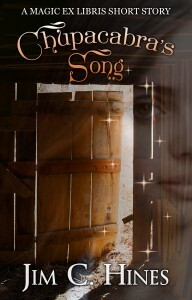 This 5000-word short story introduces Nicola as a young girl, new to magic and unfamiliar with her potential. A woman brings a strange creature to Nicola’s father, the local veterinarian. That injured animal–Nicola’s first encounter with a chupacabra–leads her into a larger world of magical poachers, supernatural creatures, and danger. It also offers the possibility of a life-changing friendship. Assuming Nicola survives. The story is set approximately twenty years before the events of Libriomancer. Available in electronic format from Amazon | B&N | iBooks | Kobo | Smashwords | Google Play, or Buy Direct and receive the story in .epub, .mobi, and .pdf formats. Jeneta’s magic could give us the stars…or destroy everyone she cares about. 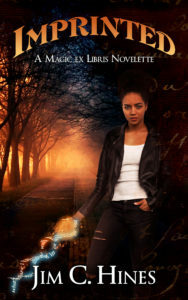 Seventeen-year-old libriomancer Jeneta Aboderin is a prodigy, determined to move on from the horrors she’s faced and use her power to create a better future. To show the world that magic isn’t a threat to be feared, but a tool of hope. After eight months, she’s ready to present the Venture, a magically-created ship capable of reaching Mars within hours. It will mark a new phase of human exploration and discovery. But at a crucial moment, her spell is wrested from her control and twisted against her. As Jeneta recovers, whoever sabotaged her magic begins to strike down those around her. 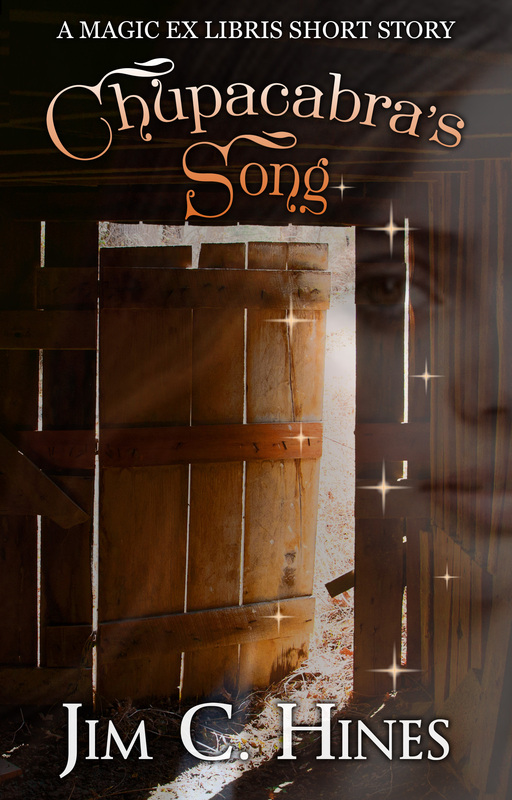 The attacker haunts her thoughts and dreams, reviving Jeneta’s past traumas. And the most powerful magic-users at New Millennium are unable to help. How do you stop an enemy who strikes from within your own mind? This 15,000-word novelette is set eight months after the events of Revisionary.